Proceeds from shoveling went to the Snow Foundation, which raises money for Wolfram Syndrome. WILDWOOD, Mo. 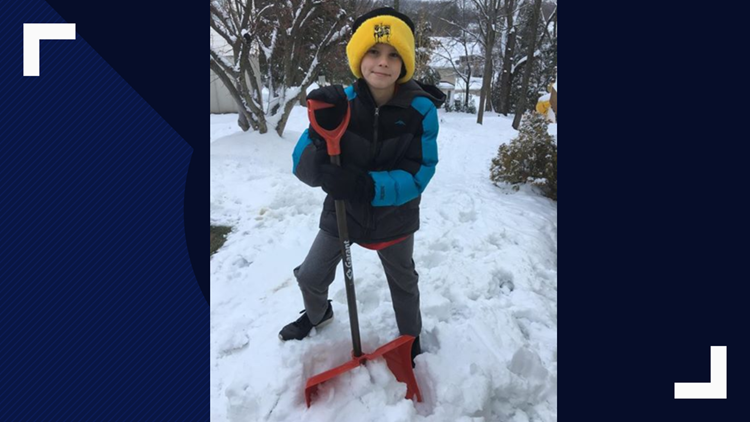 – A young boy spent his snowy weekend shoveling to raise money for his friend’s sister. Bob Kraemer sent 5 On Your Side a message to share how proud he was of his son for doing something good in the community. His son, 11-year-old Nate, raised over $500 for his friend’s sister who has Wolfram Syndrome. Nate even made a flyer to spread the word. He charged $25 per driveway he shoveled.